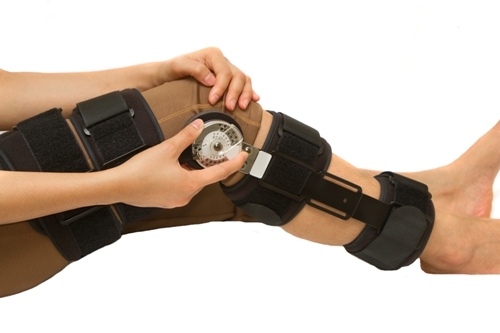 Oriole Physiotherapy & Rehabilitation Center > Blog > Guide > Knee Braces: Are They Right for You? Knee pain can be bothersome, especially when it prevents you from performing regular daily activities and doing the things you love. When knee pain is debilitating, sometimes a doctor or physiotherapist recommends their patient wear a knee brace to alleviate pain and support the joint. Over the years, these medical devices have become one of the most commonly-used treatments for knee pain and weakness (or to ease the discomfort of arthritis). Knee braces are also used by both professional and recreational athletes to prevent potential injury. ● Functional – This type of knee brace is commonly used to protect and stabilize the knee after an injury. ● Prophylactic – A brace often used by athletes who engage in contact sports (such as football) to protect the knee from potential injury. ● Rehabilitative – This type of brace is sometimes used by patients with a knee injury or who are recovering from surgery. It helps limit movements that can harm the knee. ● Unloader – This knee brace is designed to “unload” stress from the knee. It is often used to help alleviate knee pain and inflammation due to arthritis. The type of knee brace you use depends on your current physical condition or severity of injury. Consulting a doctor and/or physiotherapist is great way to assess your specific pain and condition. Although knee braces are available at pharmacies and online, talking to an expert can help you choose the right brace to address your needs, and be fitted to the right size. Purchasing the wrong size and type of knee brace can potentially delay recovery and further harm the joint. Knee braces come in different sizes, forms, and designs. A physiotherapist or orthopedist can prescribe a custom-made knee brace to suit your individual needs. Specially-designed knee braces provide more benefits than over-the-counter and ready-made knee braces, and have greater comfortability and mobility. To learn more about custom knee braces, please contact Oriole Physiotherapy & Rehabilitation Centre at (416) 221-0772 and book an appointment.